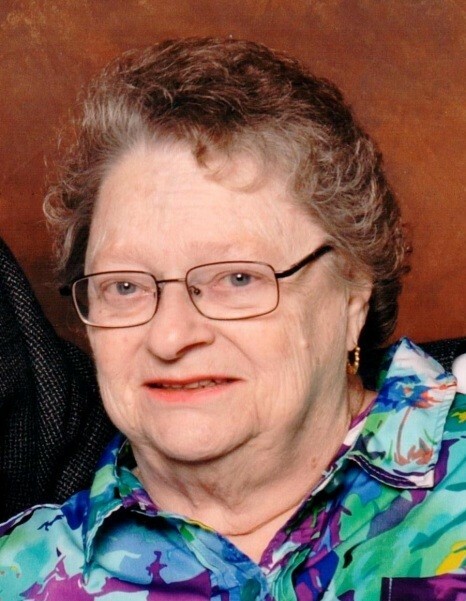 Julia Kay Latchford, 81, of Palmyra passed away Saturday, September 1, 2018 in her home, surrounded by her family. Born June 5, 1937 in Ickesburg, she was the daughter of the late Kermit S. and Ruth E. (Gross) Wallett. Retired from Hershey Foods Corporation, she was a member of Salem United Church of Christ, Campbelltown, Newport V. F. W. Band, the Moose, and Chocolate Workers Union Local 464. Surviving are her husband of 64 years Ray H. Latchford; children June Latchford, Jewel Gravely, Janine Martinez and Jason Latchford; brother David Wallett; 11 grandchildren; and 11 great grandchildren. A funeral service will be held 3:00 PM Wednesday, September 5, 2018 at Buse Funeral Home, 145 North Grant Street, Palmyra preceded by a viewing beginning at 2:00 PM. Interment will be in Gravel Hill Cemetery, Palmyra. In lieu of flowers, contributions may be made to Salem United Church of Christ, PO Box 7, Campbelltown, PA 17010 or American Diabetes Association, 150 Monument Road, Suite 100, Bala Cynwyd, PA 19004 or Leukemia and Lymphoma Society, 101 Erford Road, Suite 201, Camp Hill, PA 17011.